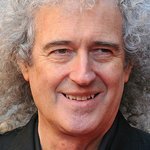 The unique opportunity to invest in some of the most prized Freddie Mercury and Queen related memorabilia presents itself next month as part of the grand plans being made by former band mates Brian May and Roger Taylor and Freddie’s own family to celebrate the late singer’s 65th birthday on September 5th. Gathering together 300 or so friends that evening for ‘a unique night of comedy and rock and roll’ amid the plush surroundings of London’s Savoy Hotel, May, Taylor and fellow organisers will be aiming to extract the highest possible bids on a number of exceptional items going on sale all in the good cause of The Mercury Phoenix Trust, the HIV AIDS charity set up in tribute to Freddie by May, Taylor and their manager Jim Beach after the singer’s death in 1991. Although the auctioneer’s final hammer will not fall until late into the night of September 5, eager buyers are being given the opportunity of getting their offers in well beforehand. Worldwide early bidding opens today online at www.freddieforaday.com/auction. Likely to emerge top of the bidding list comes a fully Freddie customised Lotus Evora “S” class sports car. This definitely one-off-version comes entirely decked out in the instantly recognised yellow and white colours of Freddie’s famous 1986 Wembley outfit. For the interest of serious motor enthusiasts, the specification boasts ‘the only performance car of its kind to have a boot big enough for your golf clubs’. Furthermore, this is the car which so impressed Top Gear presenter Jeremy Clarkson with its ride and comfort he described it as “the only car I’ve ever driven, ever, which is a killer attack dog and an old sofa”. 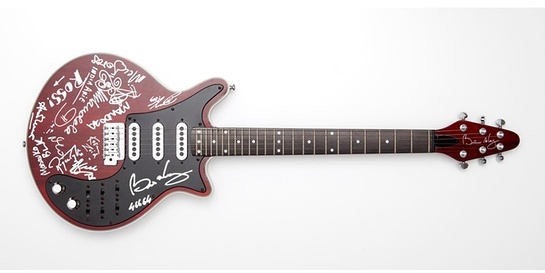 In addition, a unique Raymond Weil jewelled timepiece engraved with Freddie’s signature and date of issue, an acoustic guitar from the 1992 Freddie Mercury Tribute Concert signed by among others David Bowie, George Michael, Brian May, Roger Taylor and Cindy Crawford, and a Brian May Burns Red Special guitar signed and donated by Nelson Mandela on behalf of his charity, are also included among the highly valued pieces which will go under the gavel in the company of a room full of guests decked out in stick-on moustaches and Freddie costumes in respect of a day that has now become recognised globally under the label of Freddie For A Day. Initiated last year by fans seeking to celebrate his memory and support the charity in his name, Freddie For A Day, September 5, has grown into a worldwide campaigning day. For fans, Freddie For A Day is a chance to dress up like Freddie, some even spending an entire working day in one of his costumes, all to raise funds for the worldwide HIV AIDS work carried out by the Trust. Even famous fans have taken to dressing like Freddie, most obvious recently Katy Perry who wore Freddie’s trademark white slacks and yellow leather jacket for her 24th birthday celebrations. If it is not pieces bidders are after, but instead the pursuit of wish-fulfilment, the Freddie For A Day auction will as well offer some singular opportunities: a chance to become a West End stage performer and join the cast of Queen and Ben Elton's hit musical We Will Rock You on stage at The Dominion Theatre, or the adrenalin rush of a Top Gear driving lap with the mysterious Stig and the guarantee of full-face helmets and breath-taking speed laps. Perhaps even an encounter with the Top Gear’s front man, Jeremy Clarkson. Final bids will be taken on the evening of September 5 at the Savoy. Bidding in this auction will help many others look forward to a richer future through the work of the Mercury Phoenix Trust, fighting HIV AIDS worldwide. All proceeds from this auction will go directly to supporting care projects across the world. For information on Freddie for A Day/The Mercury Phoenix Trust go to: www.freddieforaday.com and www.mercuryphoenixtrust.com.